His pen and ink work is always fantastic. It’s the feast of Pope St. Gregory the Great! Or, as we know him around our house: St. Gregory, Chris’ patron. We hit him up for prayers, ok, I hit him up for prayers for my eldest son quite often. By which I mean, I’m a dreadful nudge about it all. But he is a faithful patron, and I am grateful for his prayers for my son. 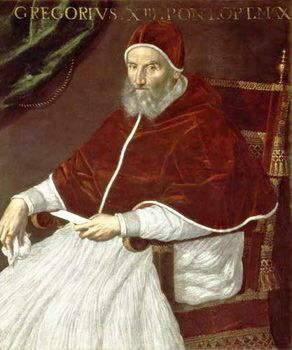 It’s the feast day of Pope St. Gregory the Great. I don’t remember all of Buddybug’s reasons for choosing St. Gregory the Great as his patron. But I suspect that his love of music was one of the links. St. Gregory promoted sacred music, now known to us as, duh: “Gregorian Chant.” And Buddybug (and his mom and dad) love Gregorian Chant. So, no surprise there. 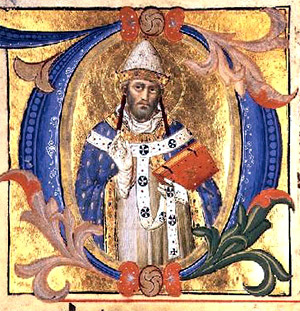 I always just mostly think of my son when I think of St. Gregory the Great. And another little but extra pleasing link for me: St. Gregory’s mother was St. Silvia. My mother’s first name is Sylvia (hence, Buddybug’s grandma is Silvia). I know, teensy nothings, but yet, they make me smile. And since this saint and my boy are connected in my daily prayers, they are kind of supernaturally and eternally connected I think too (and certainly are in my head). So, I thank St. Gregory for his prayers for my boy. This entry was posted in feast day, patron saints by coffeemom. Bookmark the permalink.